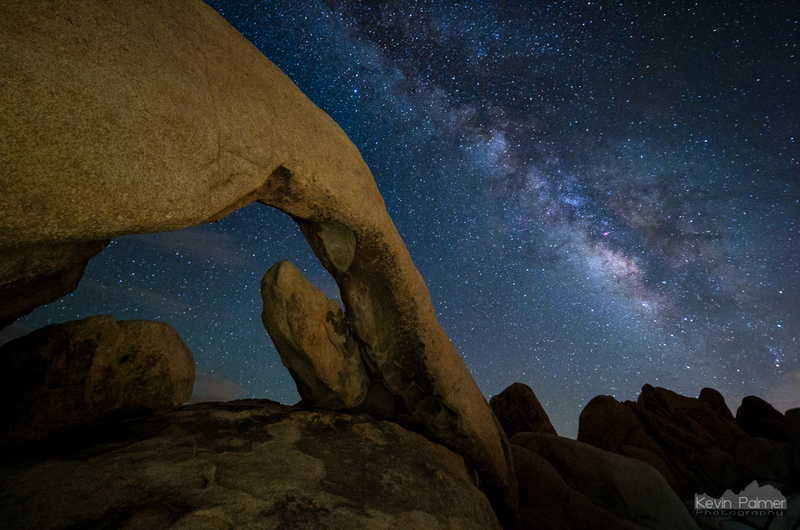 There are few views as awe-inspiring as seeing the milky way from a dark site. If someone unfamiliar with it sees a picture of the milky way without a terrestrial reference point, they might assume it was taken with a telescope. But the scale of the milky way is huge! You don’t need a telescope to see or photograph it. Binoculars or a telescope will certainly show you more detail, but they’re not a requirement. There have been many nights I’ve brought a telescope along for stargazing and haven’t even touched it. A note about photos: A long exposure from a camera will pick up more stars and colors than the human eye can. The contrast on the photos can also be enhanced later, so the view doesn’t always match exactly what the naked eye sees. But what you can see with just your eyes under a truly dark sky is still spectacular. The milky way galaxy is one out of at least 100 billion in the universe. And the milky way itself contains about 100 billion stars. Our galaxy stretches 100,000 light years wide. Every star you can see with the unaided eye is located within the milky way. The only object you can see (without optical aid) in the sky outside of the milky way is the Andromeda Galaxy. Andromeda is over 2.5 million light years from earth; much too far to resolve individual stars without a powerful telescope. The purpose of DarkSiteFinder is to help you get away from light pollution and find a dark site to view the stars. But to see the milky way there are a few other factors you have to consider. When is the Milky Way Visible? The core of the milky way is only visible about half of the year. The other half it is located beneath the horizon. In the winter months (December – February) it is not visible at all because it’s too close to the sun. In the spring (March – May), it will first become visible a few hours before sunrise. By June it will rise much earlier before midnight. The summer months (June – August) are generally the best viewing time because it will be up most of the night. 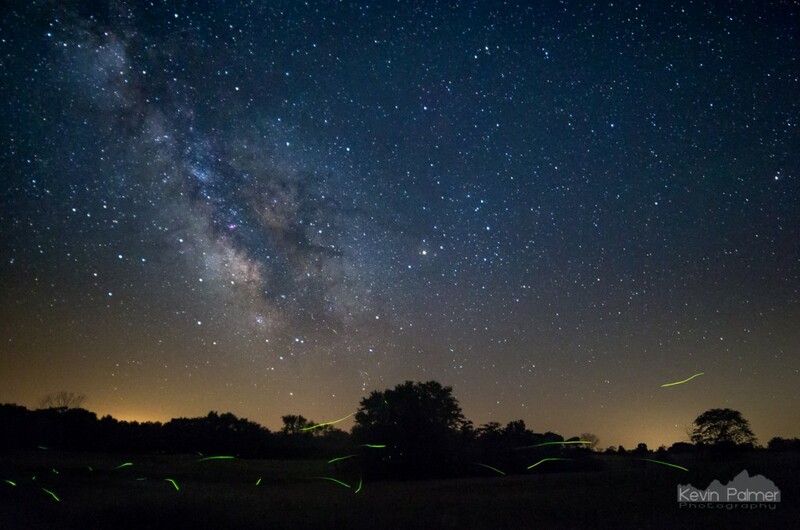 By fall (September – November) the milky way will be best seen in the evening, before it sets. Twilight can brighten the sky up to 2 hours before sunrise and 2 hours after sunset, so you want to avoid those times. The rotation of the earth is what causes the stars to appear to move across the sky every night. But the earth does not actually take 24 hours to make a full rotation. It takes 23 hours and 56 minutes. This 4 minute difference is what causes the stars to change from night to night. Every night a given star will rise, cross the sky, or set 4 minutes earlier compared to the previous night. This change amounts to 2 hours every month. For example if the milky way rises at midnight tonight, a month from now it will be rising at 10pm. If you go out at the same time, the sky will look quite a bit different. To get a better idea of the motion of the stars, download the free software Stellarium. 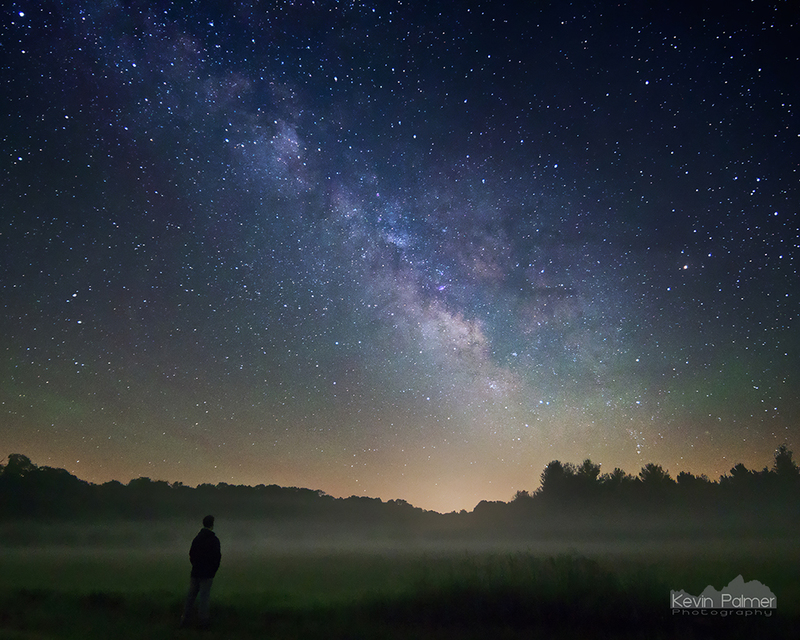 Watch the milky way rise over Lake Sugema, IA, in this time lapse video shot in the early morning hours at the end of April. For many people, going somewhere completely devoid of light pollution (a black or gray zone on this map) is not possible without an all-day drive. I know this because I live in Illinois. But a blue or green zone can still provide an impressive view of the milky way. You just have to be more selective in choosing a site, and look at more than just the color zone. The milky way rises in the southeast, crosses the southern horizon, and then sets in the southwest. So you will want to choose a viewing site that does not have any major cities in that direction. Even if the sky overhead is very dark, a light dome from a city can ruin the view if it is located to your south. 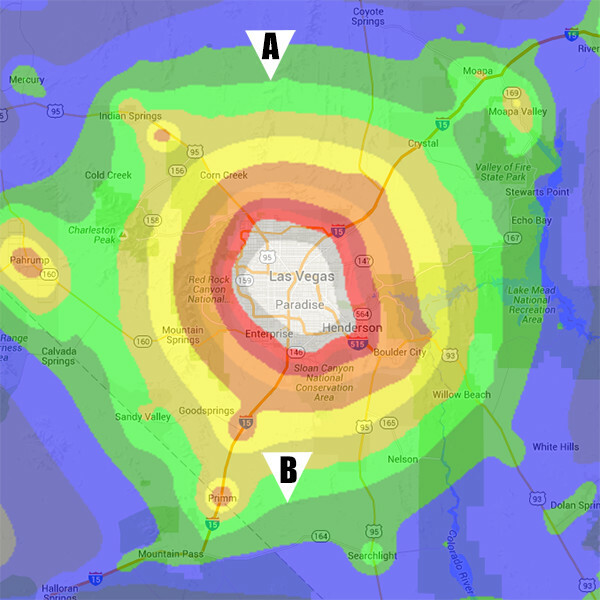 Even though they’re the same color zone, location B is better than location A because you don’t have to look south through the light pollution of Vegas. Above 50° north or so it’s more difficult to see the milky way. It will be much closer to the southern horizon even at it’s highest point. In addition if it’s close to summer solstice the sky will never get completely dark. So you may have to wait until later in the summer to get the best view. On the other hand the farther south you live, the higher up in the sky Sagittarius will rise. Those in the southern hemisphere are privileged to see the milky way high overhead with much more detail than can be seen in the northern hemisphere. If you live in the southern hemisphere, the seasons mentioned above will be opposite, but the months are the same. A full moon will drown out all of the faint stars in the sky, including the milky way. Even a slim moon can brighten the sky background quite a bit, so it’s best to avoid it. To see a dark sky all night long, you want to go stargazing during the new moon. A 1st quarter moon will set around midnight. So the hours after that will be dark. A 3rd quarter moon will rise around midnight, and the hours before that will be dark. My favorite tool for quickly finding sunrise, sunset, moonrise, moonset, and twilight times for any location is The Photographer’s Ephemeris. The website is free and they also have a paid smartphone app. My Son and I are planning to travel to Southern Utah / Northern AZ in June. We’re not camping – where to go to be able to see the night sky with the least amount of light pollution? It shouldn’t be difficult to find dark skies in that area, since most of it is a gray zone. To find the best view of the stars, drive outside of any small towns and stay away from hotel lights, etc. I’ve been stargazing near Moab before, but I think the national parks there can get crowded in June. 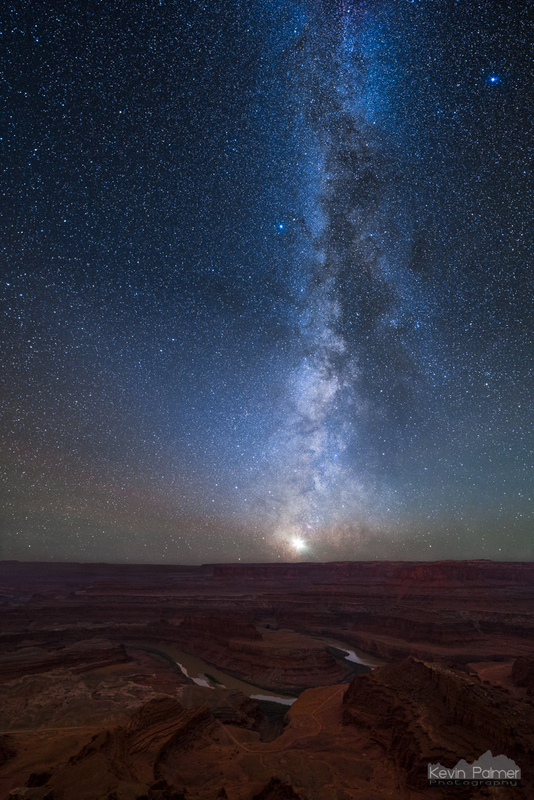 The picture above of the milky way over a canyon was shot at Dead Horse Point near Moab. I was able to see it clearly at Zion National Park in Utah and then a day later at the Grand Canyon in Arizona after a 4 hour drive. 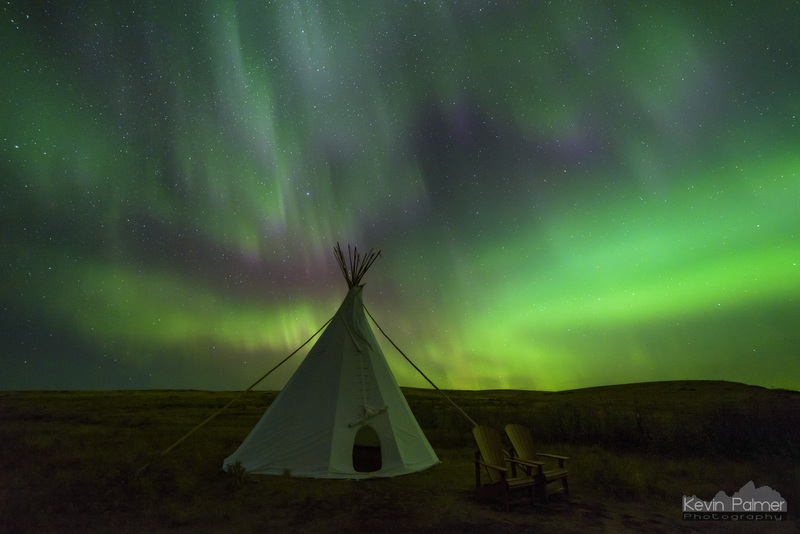 National parks can get crowded but you can always book a spot in advance. Definitely worth the drive. several places, especially at Capitol Reef N.P. I don’t know when in June you’re going, so the cycle of the moon will affect your viewing, but if you’re lucky you should see billions of stars AND the Milky Way! Good luck! I am looking for the best places in the world where it will be possible to see the milky way at its best. I was wondering iif you can help. Namibia. The views are awesome and the scenery is gorgeous. No light pollution, warm nights and low humidity. Chaco Culture was the best place for me. 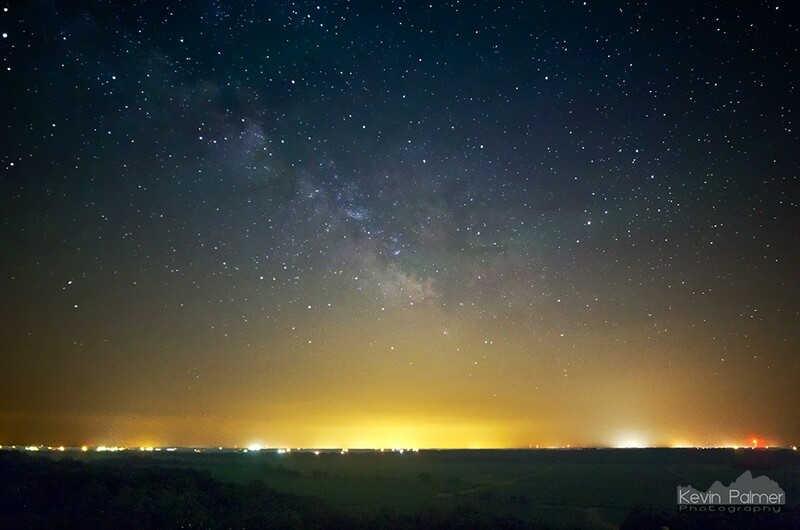 It is far enough from Albuquerque, Santa Fe, and Gallop to be a great place to see the Milky Way in the summer. But the road in and out is a bit challenging, especially pulling the camper you’ll want to stay in overnight. I live in Chicago Illinois , what’s the closest place where I could see the Milky Way? Or close to it. Hi Adriana. Try Green River State Wildlife Area. It’s where I saw the milky way for the first time. Its not the south, its the east. West of the Mississippi you start to get some legit dark skies. There are a few places on the east coast (e.g. the Adirondacks and the interior of Maine) but they are few and far between. Even places like rural Indiana that you would expect to be dark have a surprising amount of light pollution. Thank you for this. I’ve been trying to find out why the stars in the Northern sky are so lacklustre. Googling was proving fruitless until I found your site. It never occurred to me that the milky way would rise and set like other constellations. In Australia it’s always there. You look up, orient yourself by orion, then see the milky way, then the southern cross, then the magellanic clouds. The northern sky is just this very even smattering of stars, usually with no milky way. I live in a suburb of Chicago (Lombard) and want to know where I can see the milky way. I’m willing to drive 2-4 hrs, to get a perfect view. The closest place to you would be Green River State Wildlife Area. Another place that I’ve heard is good for stargazing is Wildcat Mountain State Park. It should be darker but it’s a lot farther. Thanks for the information. Green river area looks like a popular spot for viewing. Another related question : This Thursday night (8/11/16)- Friday (8/) morning will be the perseid meteor shower. 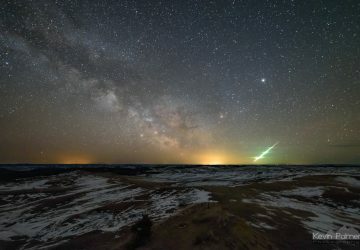 Being the first quarter of the moon, it will be setting around 1am, can Milky way and the meteor shower, both be seen simultaneously after 1am, before the twilight? The milky way will still be up at 1AM, but it will be setting very shortly after that. Normally this time of year it’s better viewed in the evening, if not for the moonlight. I’ve been trying to see it also. We usually spend some time in the Franconia area of the white Mountains but I never had any luck. I thought I saw it once on the Kanc but it was so faint I wasn’t sure. I’m going to try to make it to Bar Harbor for their Night Sky Festival, hoping to see it there or get some more info. Best of luck, and if anyone knows where to see it in New England, please let us know. It’s been a dream for most of my life to see the Milky Way. I live in Atlanta, Georgia. Can you suggest the best date within the next few weeks, place and time to be able to make this dream come true please? Thank you! I’ll help with an answer. To just view the Milky Way look at this map: http://darksitefinder.com/maps/world.html (if the link doesn’t show up Google “darksitefinder” and click on “map” on the top bar then click “Open Map”. Almost the entire state of northern Georgia is in the light dome. From Atlanta, maybe drive south a few hours into an area that is dark green on the map. 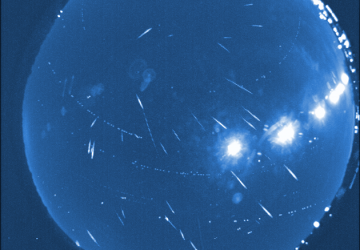 Right now in September, the MW is visible in the early evenings toward the southwest. By midnight the MW could be around below the horizon. Consider what’s is southwest from the location where you might be looking. If there is a large town like Columbus that direction, the light pollution dome could very well make it difficult to see the MW. Do this soon because the Milky Way Season will be over in October and then you will need to wait until late in the evening in April to see it. Take children. 4 out of 5 children have never seen the MW. I live just outside of Clemson, SC. Where would be the best place for me to see the milky way? I am going to be in Northern New Mexico in early October will there be a chance to see the milky way then to Colorado around first half of month of Oct will I get a chance to see it there also? If so where would I locate it? 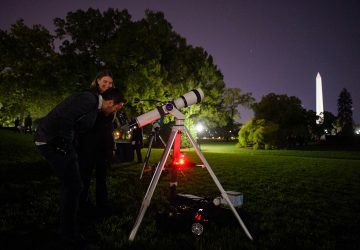 I am from IL, what are the regular places nearby you travel to find the dark site, like is there a regular site for enthusiasts to get around in groups for astro photo ? Check out the link for Green River State Wildlife Area above. Usually on new moon weekends when the weather is clear there will be other stargazers there. Also here’s a list of astronomy clubs in Illinois. I’m going to the Alabama Hills (Lone Pine, CA) for late November, the 26th to be exact. There will be a waning crescent moon. However, will it be too late in the year to view the Milky Way? The bright core of the milky way will be beneath the horizon. But the Cygnus star cloud region will still be visible in the west. Orion and the winter milky way will also be rising later in the evening. 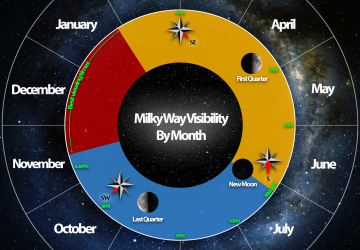 How will Milky appear during early November around San Diego – somewhere like Borrego Springs? Would the core be already set by then? In the 3rd picture above, you can see what the milky way looks like in early November, if you have a clear view to the southwest. But with the New Moon on 10/30, each day after that the crescent will get brighter and diminish the view of the milky way. Hi, I live in Long Beach, California, about 15 miles south of Los Angeles, & I have been desperately wanting to see the beauty of the night sky my whole life! (21 years, but still a long time, nonetheless). I’m willing to drive 2-5 hours to view the night sky, but don’t know where to even start, being that in Southern California, there’s light pollution EVERYWHERE! If you could please point me in the direction of some places to go, I’d greatly appreciate it! Thanking you in advance. I’m very familiar with all the light pollution in Southern California. But fortunately there are a lot of dark areas in the desert where you can see the stars. A few places I’ve been include Death Valley, Mojave Preserve, Joshua Tree, and Anza Borrego. I’ve also heard Mt. Pinos is a good spot for stargazing. I’ve seen the milky way once before about 6 years ago when i was in the UP of Michigan on lake Superior for July 4th. Absolutely amazing and incredible to witness. It definitely takes your breath away. I’ve been wanting to see it again ever since. I’m lucky enough to be headed to Belize staying on an island 20 miles off the coast in about a week. I’ve already checked the dark skies map and it’s prime area for star gazing. I’m also getting there the first day after a new moon. Perfection conditions…. My question is – will I be able to see the milk way down there at this time of year? From what i can tell from researching i might be able to because i’ll be further south than most of the sites that talk about north america viewing. If I can, do you know the best times i’ll be able to view? Right now i’m thinking it will be around 4am. Any other tidbits or constellations to look out for would be great. I’m a novice when it comes to astronomy but I love gazing at the stars in remote areas. You should have a great view of the milky way from Belize. It will be a lot higher in the sky and show more detail than in Michigan. This time of year it won’t be quite as high as in the summer, but it will still be very visible to the south a few hours before sunrise. The best time to look will be between 2 – 4:30AM. That’s great! Thanks for the info. I’m really looking forward to seeing it again. My 92 year old beloved father-in-law passed away in Feb 14, 2017, the morning after he told his wife, he was very tired, and wanted to go to sleep. She asked him what he had been doing to make him so tired. He said he had been painting the Milky Way, and it was so beautiful. I was searching the Internet for a photo of the Milky Way that I could print and frame for his wife, as his vision has been a comfort to us. I found your self portrait with the Milky Way, and it’s perfect! Would it be possible to obtain or copy this photo somehow? We would very much appreciate it. My condolences on the passing of your father-in-law and thanks for your comment. I just sent you an email. Oh so jealous! I hope you had fun and got to see lots of stars! The southeast part of MO (Ozarks) is an easy drive to get to going 44 west; then I usually take the Cuba exit and head south on 19 (or, left at the fork). Pass Steeleville and take a left at the Cherryville junction, toward Viburnum. Anyway, all small towns and lots of land, so I can’t imagine there’s enough light pollution to do any damage. If you spot any mills on the map (like Ally Mills), that would probably be the safest spot to pull over into a parking lot. Nothing but trees and rivers and creeks. 🙂 However, with it being the Ozark ‘mountains’ you may get your best view of the sky at an overlook, which is more difficult as there are no official overlooks, you just see valleys open up as you’re driving; and there is no good way to park on the side of the rural highway (though I’ve done it, in daylight). Anyway, hope that helps, a little.